Chia is an annual herbaceous plant in the mint family that is grown commercially for its seeds which are rich in omega-3 fatty acids. The chia seeds have for long been used for food and medical purposes. The new healthy life style adopted by individuals has attracted a niche for chia consumers in Uganda. Currently we have not yet noted down the present cultivars but we rather have the indigenous strains grown randomly by individuals. Chia plants require well drained loamy soils to grow. These being enriched with humus makes the plant vigor even better. Chia plants can be started using the tiny chia seeds. These usually take like a week to give off sprouts. Chia planting is rather a fun process. When planting chia what you only need to put energy in is clearing the site to make a fine tillage. Then rake the land to remove all residue plants and weeds. Raffling or broadcasting the seeds would be the quickest way but I recommend the broadcasting be done in rows of 1-2 cm deep. This eases weeding as the chia plant grows. Gently cover the seeds with soil and then a gentle sprinkle of water. 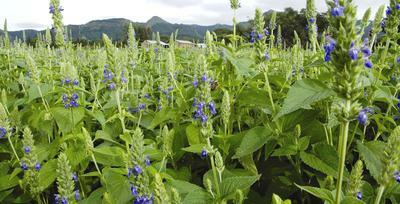 Chia seeds are appropriate to harvest when the petals have fallen off. Waiting for the flower heads to brown risks lose of seeds. To harvest pick the flower heads and hang them on a drying rack. After they have dried scramble the dry flower heads to release the chia seeds. Hull the seeds and use them appropriately or even keep them in a container for future use. Most people’s diets are dangerously low in essential fatty acids, which results in tired muscles, fatigue and so many other health problems. 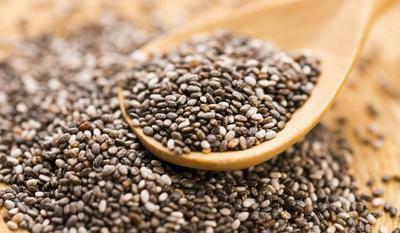 Consumption of chia seeds comes in handy to avert these health problems as the chia seeds are rich in omega-3. The young herbaceous chia plant leaves are dried to create tea leaves which is proved to treat mouth ulcers and reduce of bad fats in the body. Open up trenches in a row of about 1-2 cm. Water gently to provide water for germination. In about a week you will be able to see sprouts. Thin the crowded areas to reduce on nutrient competition. When the plant flowers have fallen off, go ahead to pick the flower heads.